Hasrul is balancing work with training and racing for now. An Ultra marathon dreamer. His motto is "Always Run Your Own Race". Sunday, 3 May 2015 witnessed the 8th edition of Sabah’s most anticipating annual race of the year, Borneo International Marathon (BIM). This is one of the highlight races on Sabah race calendar and it is usually held in every first week of May on each year. The participation of runners has increased radically between these 8 years of its organisation. 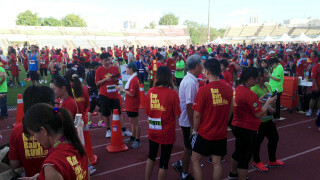 This year, it was recorded that 7,800 runners hit the pavement on that very day, of which, 10km runners dominated more than half of the participants. While everyone’s falling asleep safe and sound or even having fun on their weekend night, it’s a different scenario for Sabah’s running scene. It’s time to run out in the darkness for the Asia Xtreme Adventure (AXA) X12 Dark Run which was held on Sunday, 1 March 2015 at Nexus Karambunai Resort in a suburban area of Sepanggar. 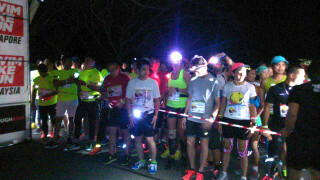 The event flagged off at 12:00 a.m. and went on till 6:00 a.m. in the morning.